Fill a shaker with ice and combine all ingredients. Shake and strain into a tall glass (optional: rim with seasoned salt.) 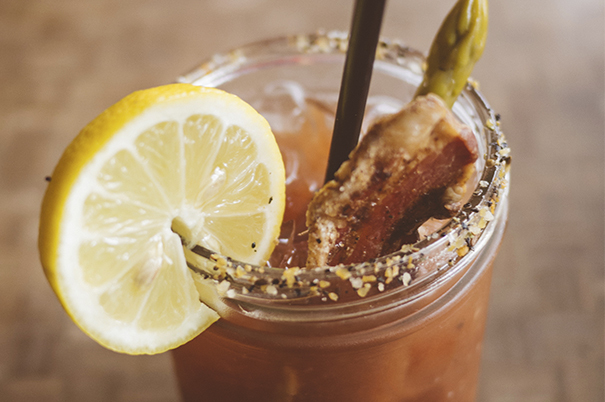 Garnish with a piece of bacon, a celery stalk and your favorite pickled vegetables.